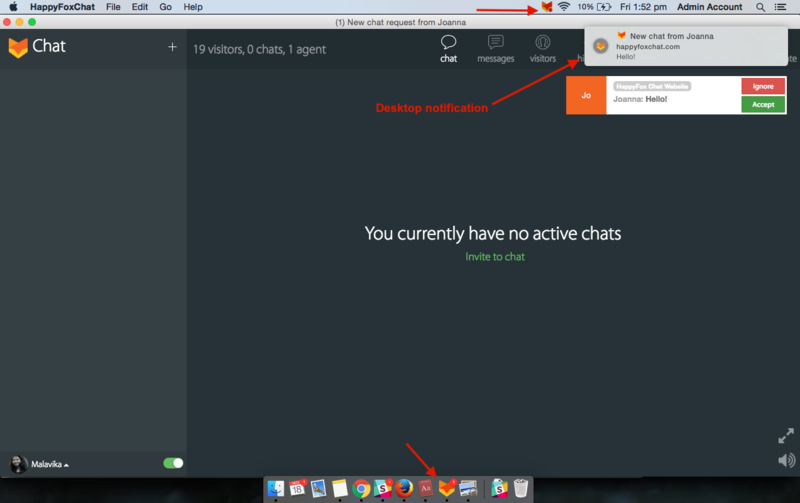 HappyFox Chat has dedicated desktop apps to make the chat experience amazing with native Desktop notifications. Desktop apps are available for Mac and Windows operating systems. You download the desktop apps from Apps -> Goodies. 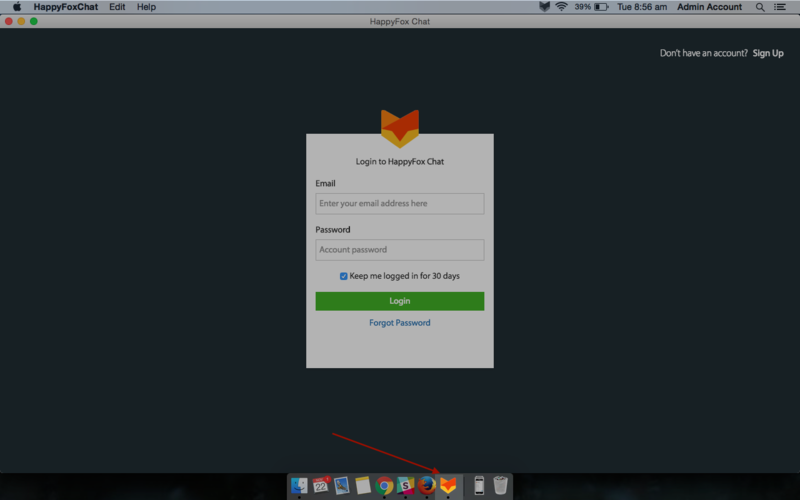 Once you download, you can view the HappyFox Chat app icon in the dock. On Windows, you can view the app in Start menu. You can have the app running in the background and get notified whenever there are new incoming chats. Agents will get sound and desktop notifications for incoming chats requests and view the notifications on the app's icon as well. On Mac app, you will find a HappyFox Chat icon on the top menu bar as well. On clicking the icon, it will show you the drop-down with different options. 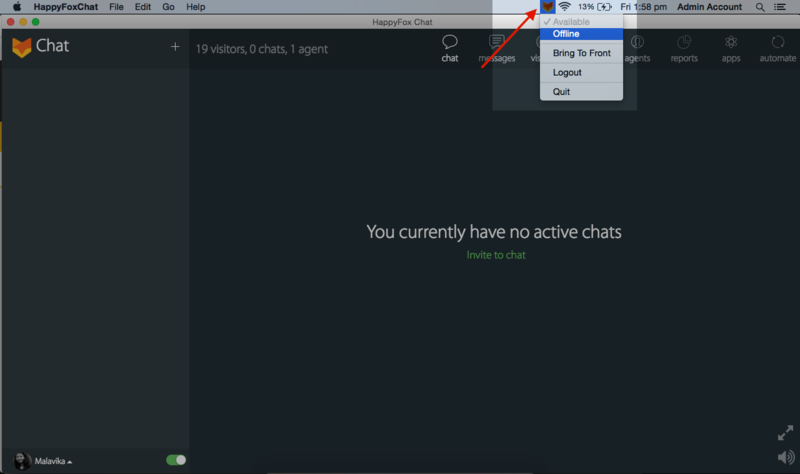 When agent clicks offline your chat availability becomes unavailable and the HappyFox Chat icon on the top menu bar will also be greyed out. 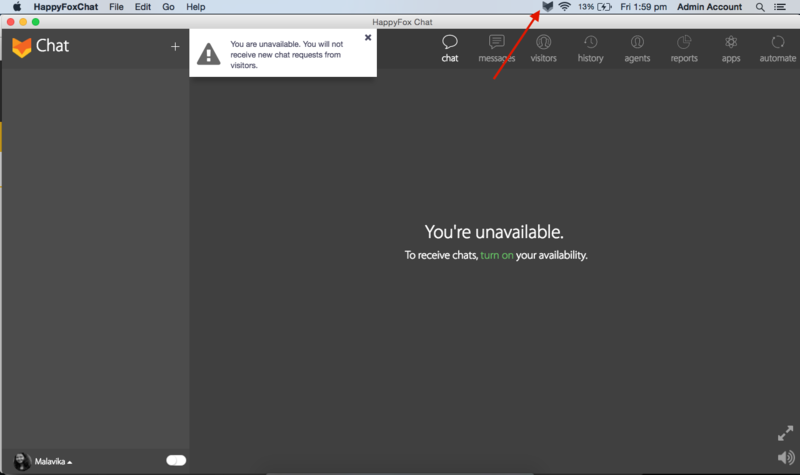 Agent will know if they are offline or online to take chats, without even checking the Mac app.